Walk into any jewellery supplies store (we have two within a block of our office) and you’ll most likely be greeted with over the top prices compared to prices overseas. One “accessory” that an increasing amount of diamond buyers want is a loupe, however, locally they cost upwards of $50. For casual or one time use, this simply is not a viable proposition. 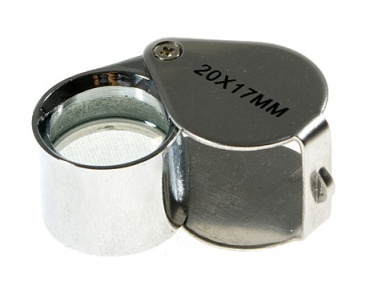 However, here you can pickup a jewellers’ loupe for under three US dollars including shipping. Of course, I wouldn’t recommend a three dollar loupe for professional use – for the professional, I’d recommend something like this. Kassoy – New York based jewellery supplies, have a huge range of equipment, packaging a tools. Rubin & Son – We’ve had no experience with them, but have heard they’re good. Mehta Packets & Tools – Incredibly cheap tools and equipment. We bought a bunch of diamond tweezers for $1 each, possibly saving us thousands. National Jewelers Supplies – Reasonably priced equipment from the US. Ayres – Reasonably priced for packaging and also do custom printing as well. If you have any other recommendations for jewellers’ supplies, then please make a comment! This entry was written by Nikhil Jogia and was posted on on Wednesday, April 23rd, 2008 at 4:40 pm	and is filed under Buying Advice. You can follow any responses to this entry through the RSS 2.0 feed. You can leave a response, or trackback from your own site. Many thanks for the recommendations… investigating now!